It is essential to screen and diagnose Lung Cancer at an early stage, so there is enough time to treat and mitigate the condition when it is benign. Call our Office or Request An Appointment Online to get help from our expert pulmonary care team. Lung cancer kills more Americans every year than breast, colon, cervix, and prostate cancers combined. The risk of developing the disease increases the longer and more heavily people smoke. Lung cancer is diagnosed more often in men than in women - and often it’s found after the disease has already spread, making it harder to treat. The hope and goal behind better, regular screenings is to diagnose more cases of lung cancer at an early stage when it is curable. 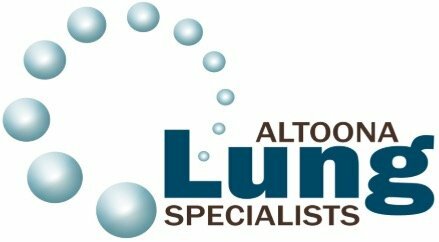 Over 300 Altoona Lung Specialists’ patients have enrolled in the Lung Cancer Early Detection Program (EDP), and we continue to enroll patients at high risk. If you are at risk of lung cancer, get involved in the Lung Disease Center of Central PA’s Lung Cancer Early Detection Program today by calling 814-946-2845, or book an appointment online! Why are Lung Cancer Screenings Important? Screenings are the only way patients and their doctors can truly monitor for lung cancer and have a chance to diagnose it early in its development. Although lung cancer screening can can cause fear and anxiety to you and your loved ones while waiting to find out if a suspicious nodule is cancer or not, many people are ultimately relieved when they are tested. Currently a smoker, ages 55 to 79, with a 30-pack year history (i.e. smoking a pack a day for 30 years, two packs per day for 15 years, or some other combination). Previous smokers, ages 55 to 79, with at least 30 pack-years of tobacco use and who quit less than 15 years ago. Why Should I Have a CT Scan? Computed Tomography (CT) scanning produces a much sharper, more detailed image of the lungs than a regular X-ray, with about the same radiation exposure as a mammogram. It is better at finding small nodules in the lungs that standard x-rays often miss. Screening with a CT scan of the chest is easy and painless. According to research, CT scans can lower the risk of dying of lung cancer by 20 percent. Further, widespread screening could prevent 18,000 U.S. deaths per year. What Happens If I Have a Positive CT Scan? If your CT scan detects a pulmonary nodule that raises concern, you will be scheduled for a follow-up appointment to discuss your options. Frequently, the nodules detected on a CT exam prove to be benign nodules or scars, therefore a positive scan for pulmonary nodules doesn’t necessarily mean you have lung cancer. If your results are negative, and your risk is high, you will be encouraged to return to the Lung Disease Center of Central Pennsylvania every six months for a chest x-ray and/or CT scan so that each is being performed once per year.